Good Sunday Morning Everyone! It's Barb and I am hosting the blog today! 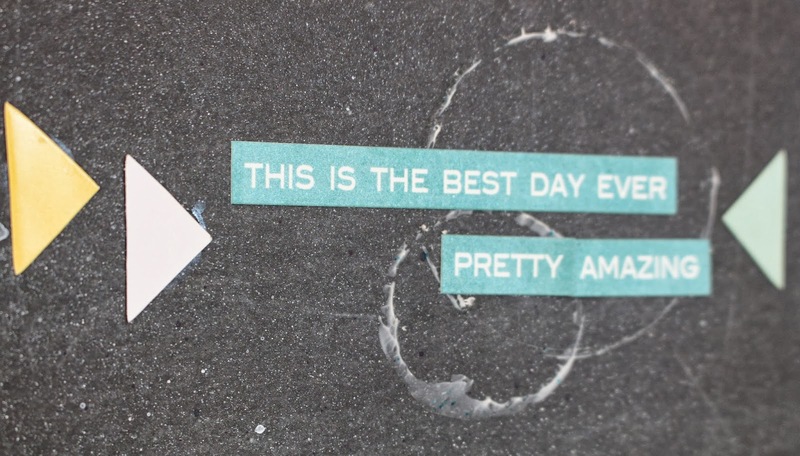 I had a day completely to myself yesterday, (I know... so exciting!!) so guess what I did... I went to my studio and pulled out the Frosted Designs October Scrapbooking Kit! Yay!!! 1. I want a kit that will work for everyone in my family. That means it has to be diverse enough in it's contents that I can make a layout for my son, daughter & family in general. 2. I want a kit that mixes different manufacturers so that I don't have to. Sometimes the manufacturer kits that have everything included are nice, but a little too matchy, matchy for me. I want a kit that will allow me to sit at my desk, pull out all the contents and start creating. 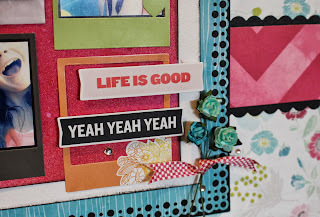 No searching for matching papers or embellishments... it is all in the kit already! 3. I want a kit that is a good value... one that I can create several projects with. 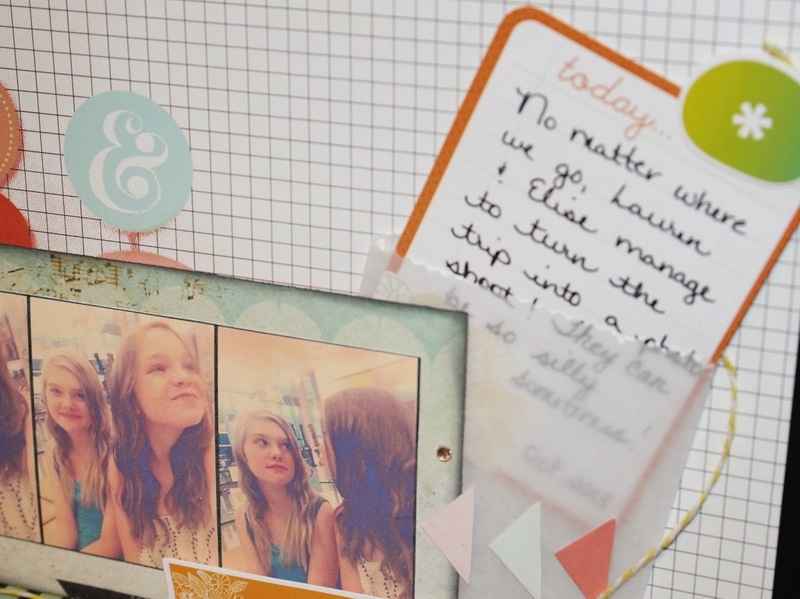 I believe that the Frosted Designs Scrapbooking Kits have all of these things! 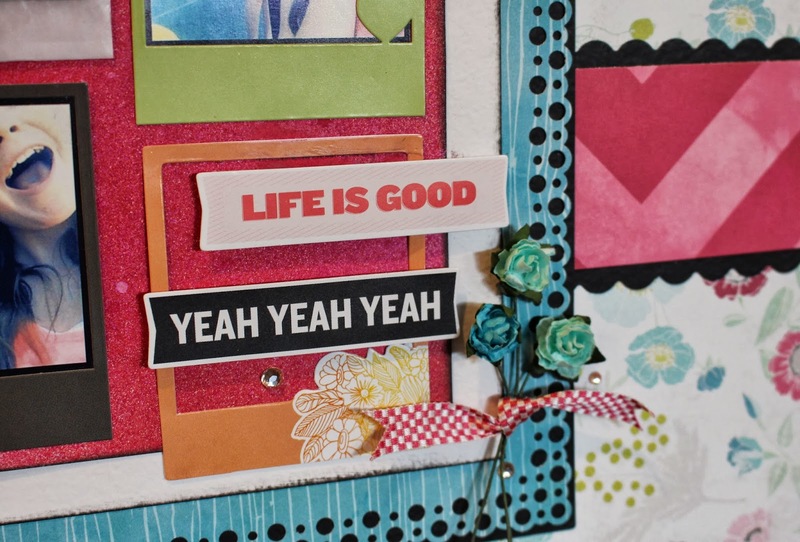 ALL of these projects were made with the Frosted Designs October Scrapbooking Kit. The only things I added were items I already had in my studio like inks, molding paste & mists. 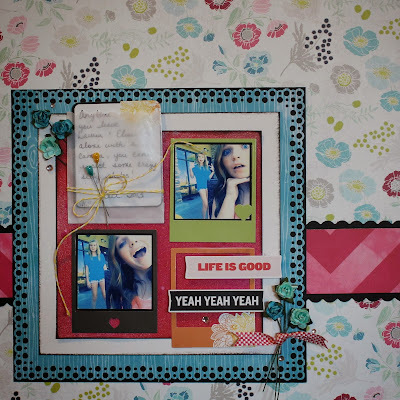 This layout was made mostly with the Glitz papers in the kit. I used the Sketchabilities Sketch found here. Since it was taken at a Diamondbacks Baseball Game, I wanted to include the tickets from the game in the layout. 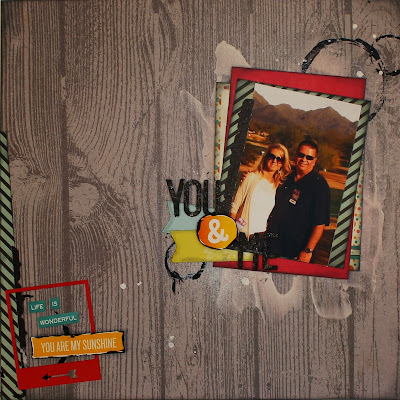 I used the Hero Arts Herringbone Stencil (you can find it in our store) for a fun design in my background. Once it was dry, I sprayed on some Dylusions Ink Spray in Calypso Teal and White Linen. 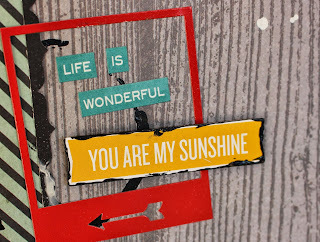 I love these little word stickers from My Mind's Eye that are in the kit... so fun! 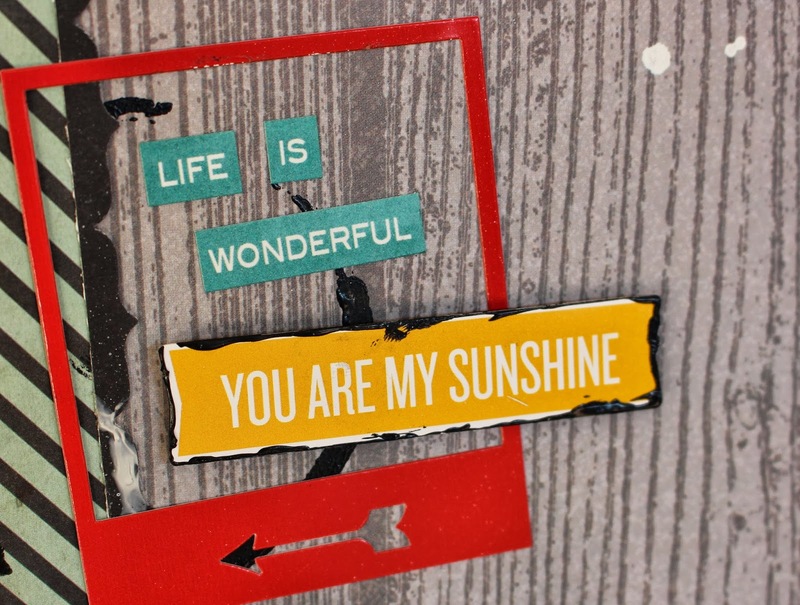 The triangles are from the package of Studio Calico Die Cuts. I even did a layout of my husband and I at the Phoenix Open! This was a mix of the My Mind's Eye Papers and Glitz papers. 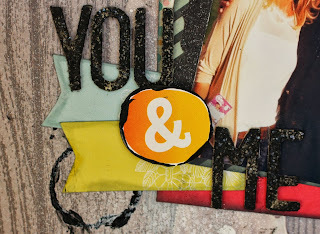 I used molding paste to add texture behind the photo along with some black paint and Dylusions Spray ink in White Linen (LOVE that stuff!!) I used the Stuck?! sketch you can find here. 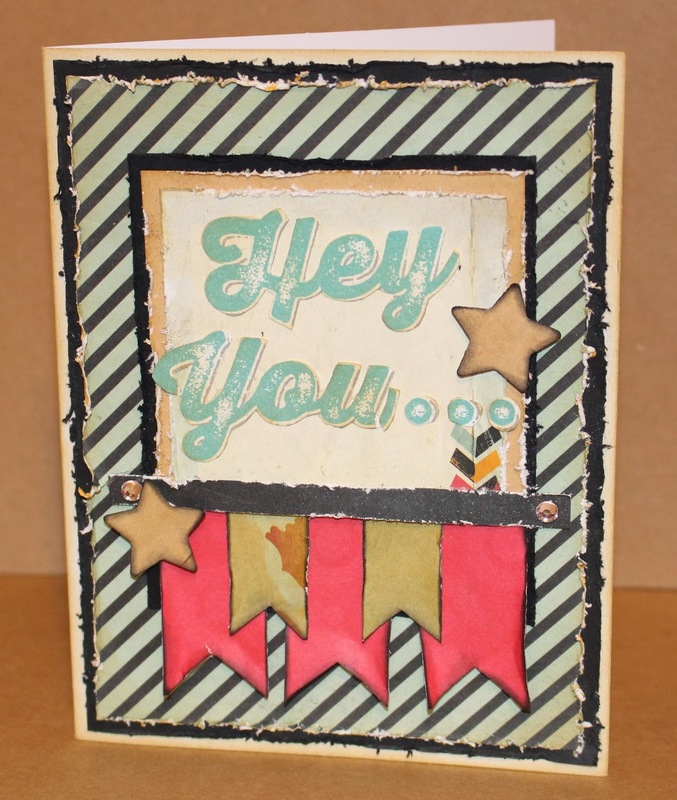 The Thicker Letter Stickers are in the kit but they were a lighter, neutral color. I wanted black letters for this layout so I put some ink on them and there you go... that simple! 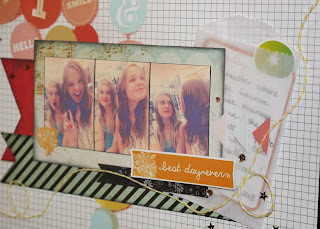 I adore these sweet Studio Calico polaroid frames that are in the kit! 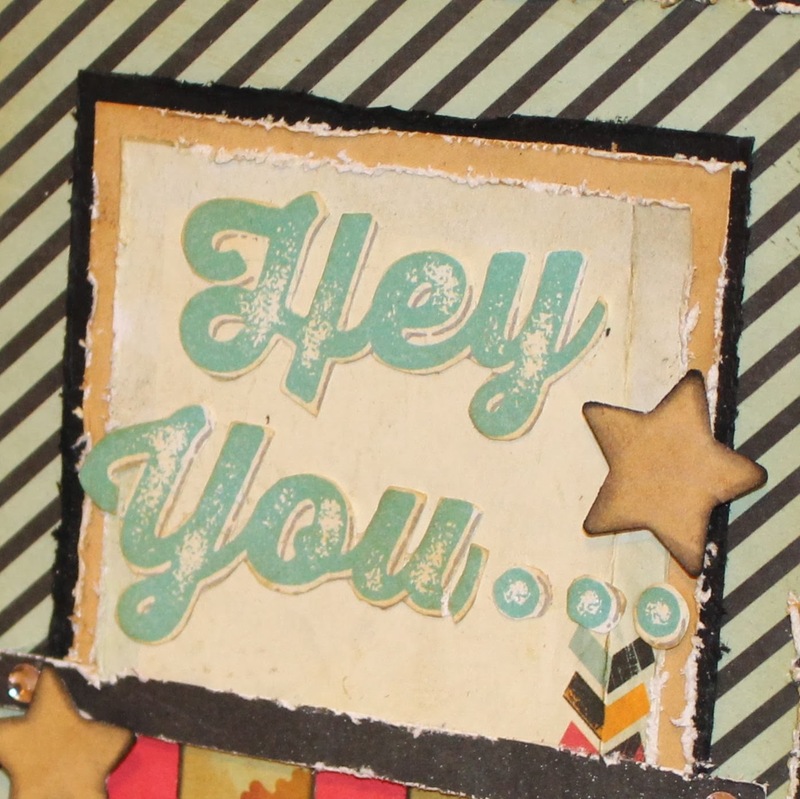 I added a Studio Calico die-cut and My Mind's Eye stickers. 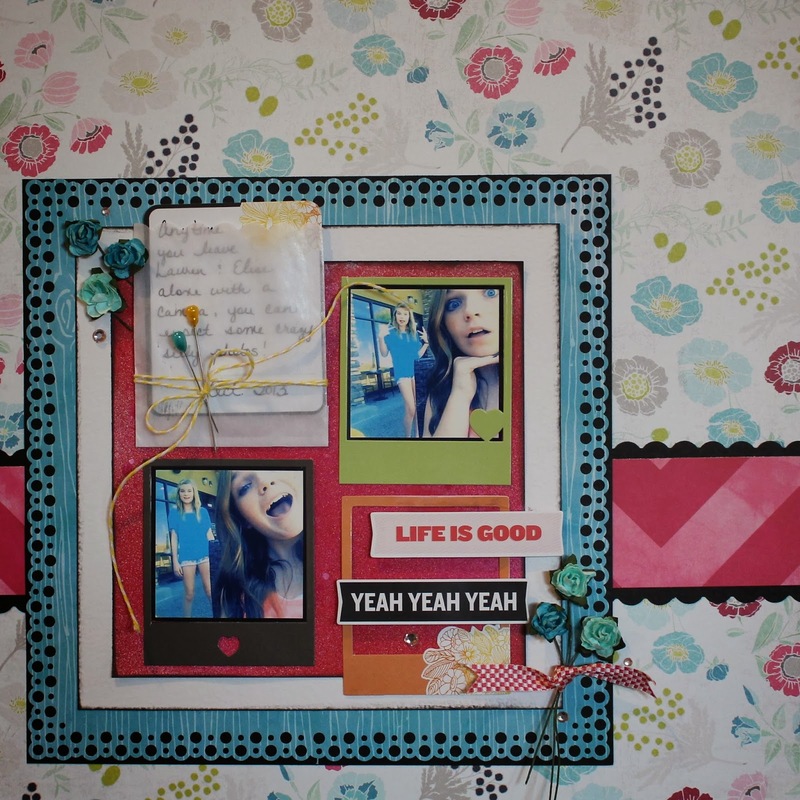 Now for the girly, girl layout! 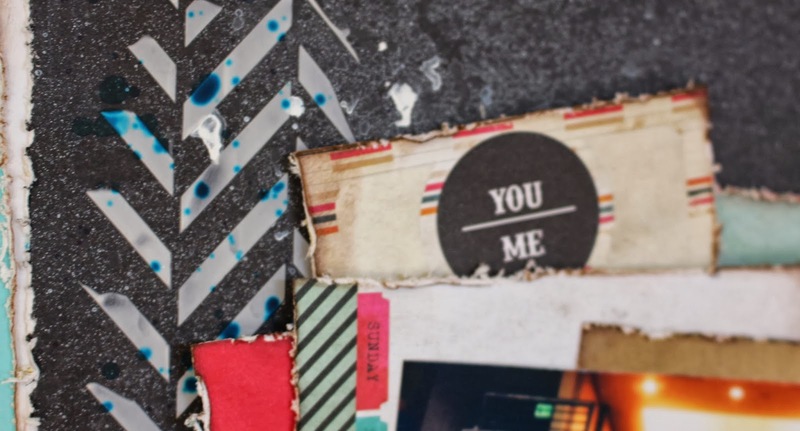 I love the mix of My Mind's Eye and Echo Park Papers! And... 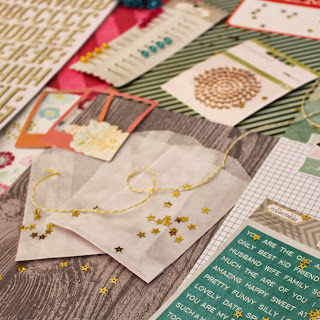 I even have Glitz paper here! I really like these glassine bags that are in the kit. They allow me to include my journaling without it being a focal point. I used a punch to get the design at the top and then added some of the Webster's baker's twine along with the My Mind's Eye stick pins. I love this paper from Studio Calico! 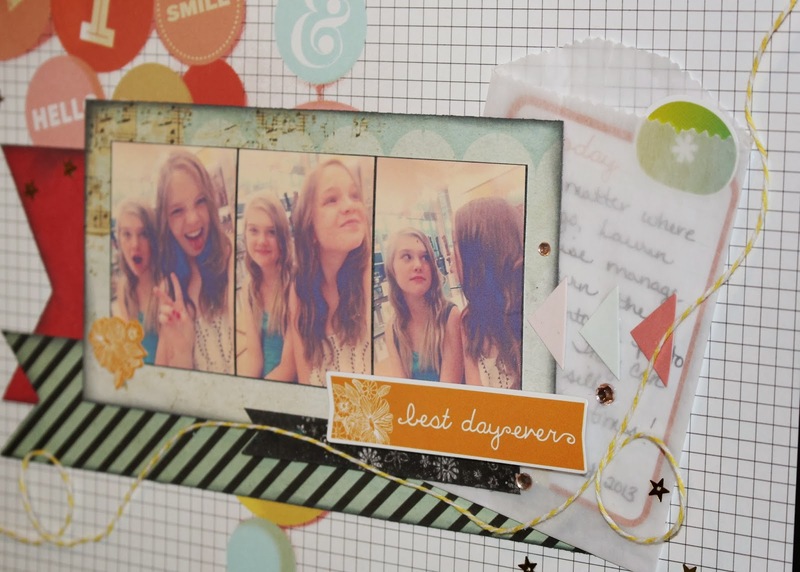 It is so fun and playful and perfect for scrapbooking pictures of my daughter and her best friend playing around! 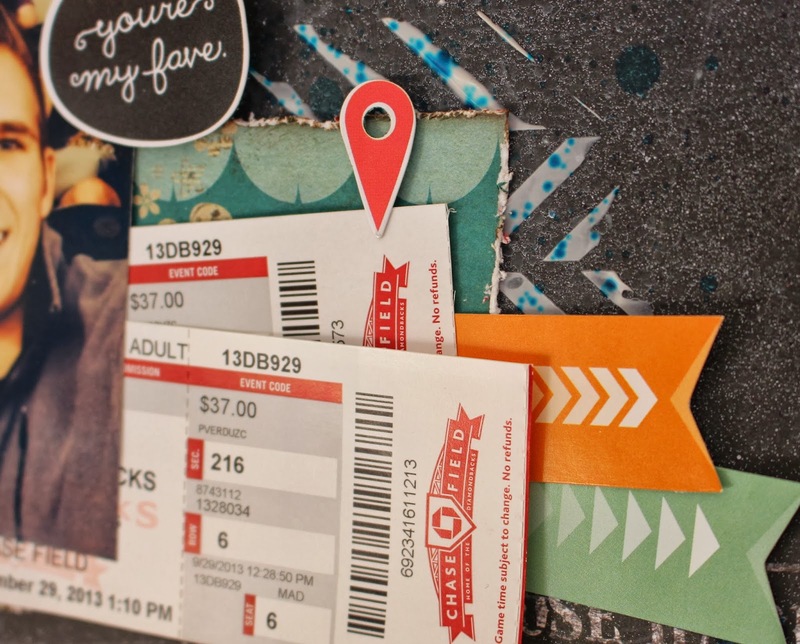 I also used up some scraps of Glitz paper for the banners under the photos. I used another glassine bag to hide my journaling and added some star confetti, rhinestones and twine! 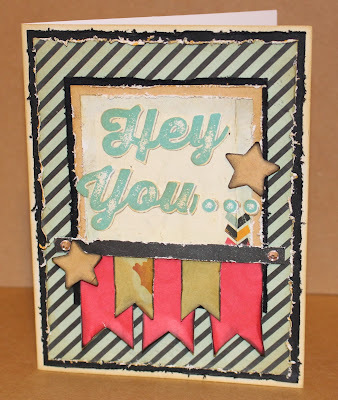 And... after all those layouts were complete, I had enough paper to make this card. 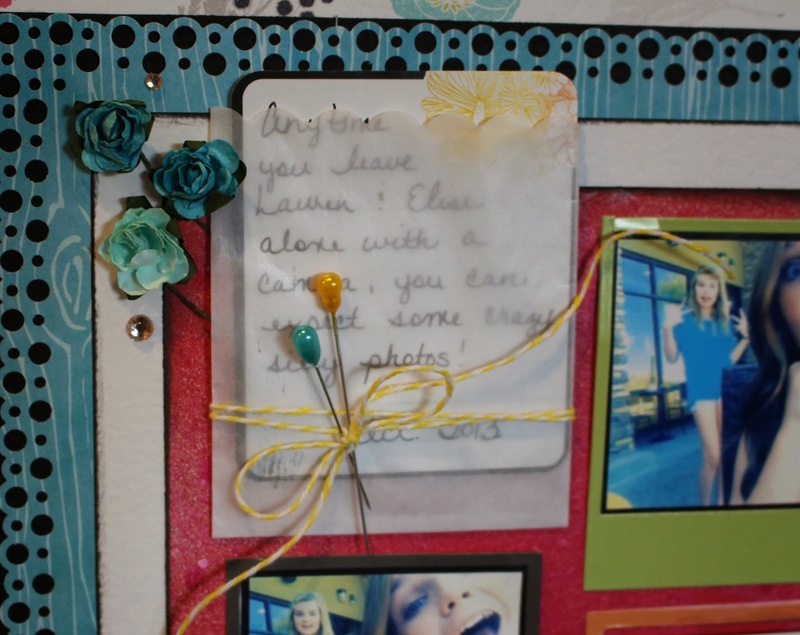 I actually have enough paper and embellishments to make another layout or a few more cards! I used the sketch from cardabilities that you can find here. So.... 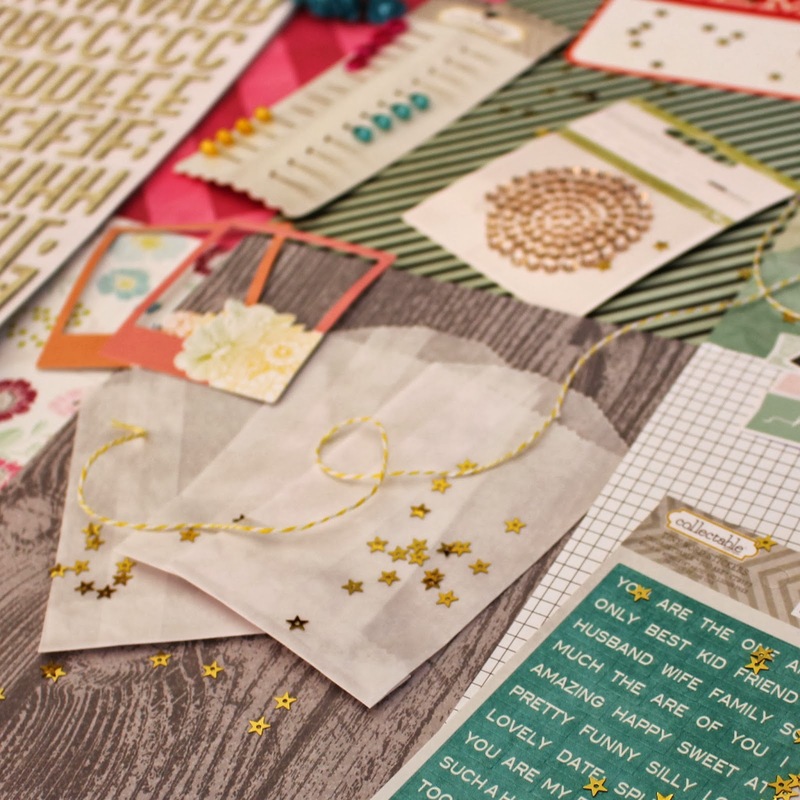 I hope that my creative day gives you some ideas on projects you can make with this kit! This kit is available in the Frosted Designs Store! For the US store click HERE and for the AU store, click HERE! 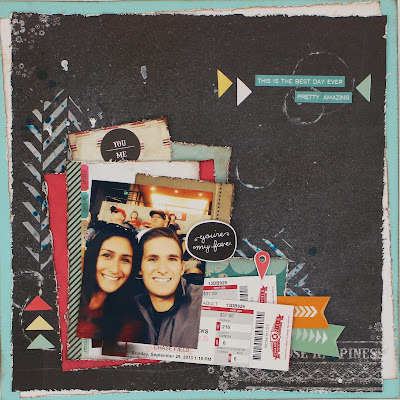 What a great kit and love love love all your projects!! Gorgeous!!! Amazing projects from the kit! 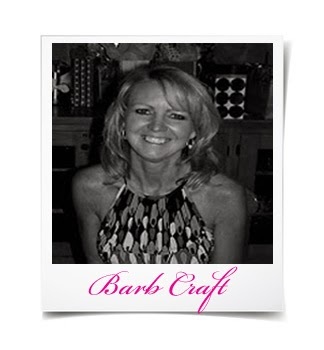 Fabulous projects, Barb! I love this kit and can't wait to use it. Wow thats a lot from one kit and so diverse.